A major influence on the development of rabbinic liturgical custom after the destruction of the Temple was the need to establish that this innovative worship of the heart was as acceptable to God as biblically prescribed sacrificial worship. Later Jewish communities and their leaders continually refined the details of the system they inherited to reflect their changing understandings of acceptable, meaningful, and constructive worship. These understandings have in turn been shaped not only by liturgical halakhah and active custom, but by new intellectual and social currents and by the vicissitudes of Jewish history. 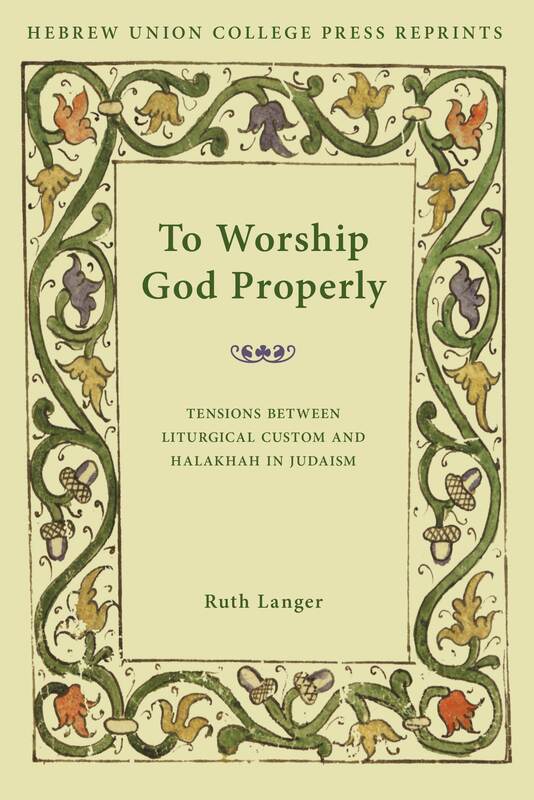 Ruth Langer uses the tools of historical scholarship and anthropological study of ritual to analyze some of the dynamics that have shaped Jewish liturgical law and determined the broader outlines of the prayer life of the Jews. After a consideration of the talmudic issues upon which the acceptability of prayer depends, she offers a basic list of legal principles derived by later generations from talmudic literature to ensure that prayer takes the form of blessings composed according to a very specific pattern and invoking God in a very precise way. She then investigates the development and implementation of the corollary that invoking this blessing formula in ways that deviate from the specific directions of the Talmud constitutes precisely inefficacious and even dangerous prayer. Questions about appropriate prayer language go beyond the blessing formula to the contents of the prayers themselves. Langer analyzes the battles fought over the legitimacy of inserting liturgical poetry into the fixed texts of the statutory liturgy and over the requirement of community for the proper recitation of certain prayers, specifically those that include the angelic liturgy. Although in each of these controversies the rabbis compromised by reinterpreting either legal theory or custom—or both—to bring them into harmony, their solutions have never been monolithic or simple. In its lucid illumination of those complexities, To Worship God Properly adds to our understanding of the history of Jewish liturgy and the general history of rabbinic leadership and law. Ruth Langer received her rabbinic ordination and Ph.D. at HUC-JIR, Cincinnati and currently serves as Professor of Theology at Boston College. Her liturgical writings include articles published in the Proceedings of the American Academy for Jewish Research, Hebrew Union College Annual, and Worship.